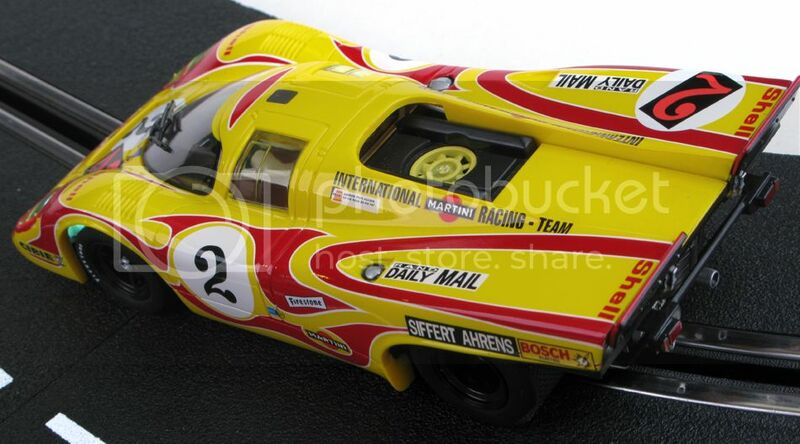 So a sample of the 1/32 Carrera 917k has arrived for me to photograph and here it is. I will be shooting more pix of this car today but I wanted to post this now. More pix soon of the exterior and the mechanicals inside too. Last edited by DaveKennedy; 09-21-2015, 06:15 AM. sweet!! How long will it take to be here for sale? 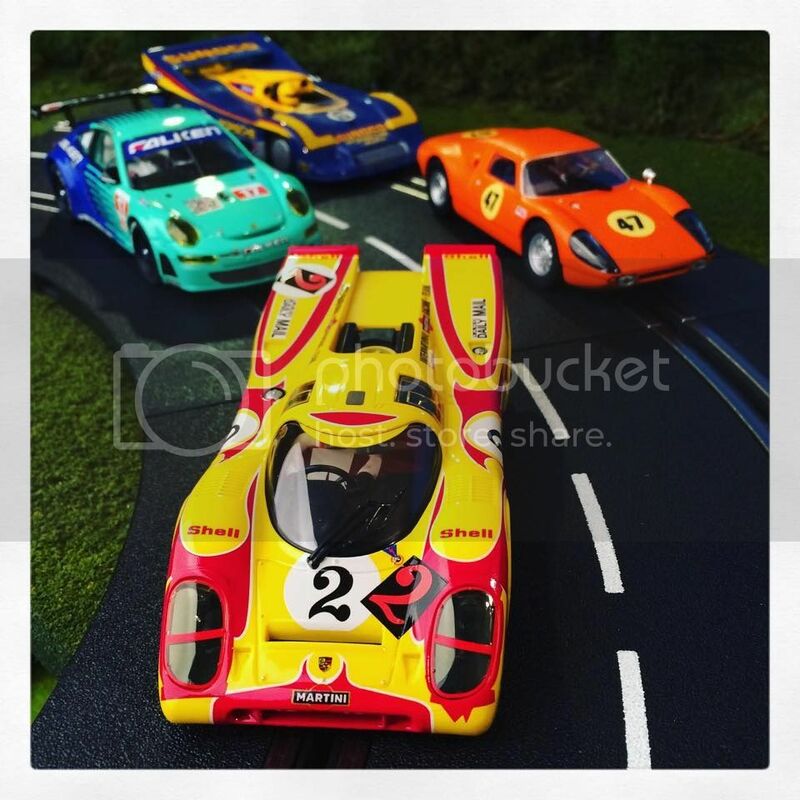 The CanAm 917/30 isn't too big, it was bigger than the 917/10, with which they get constantly confused. ^ he'd know... he designed them. 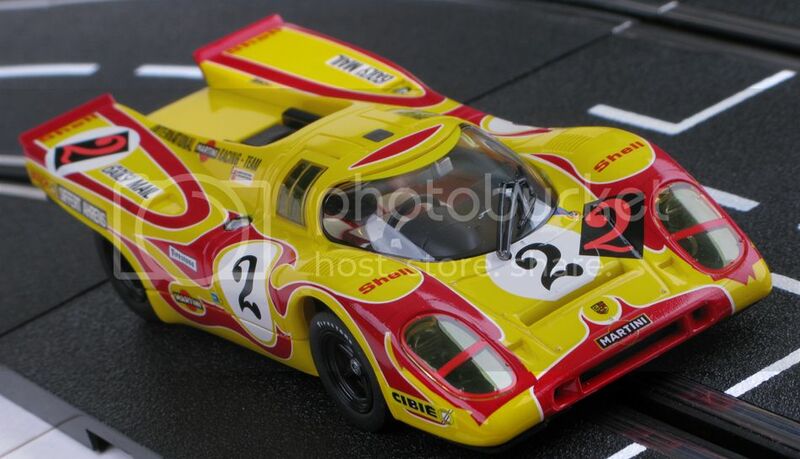 And BTW these were approved and licensed by Porsche unlike the Fly cars which were unlicensed. Sorry 'bout that. I had always assumed that the Carrera Can Am cars were a bit big on scale like the Vanquish cars were. They sure dwarfed some of my touring and GT cars, but those old Can Ams were huge in real life too. Updated with more pix of the car. We plan 2, I don't have pix of the second one but you can see it on the website. Will the Lamborghini Huracan cars be AWD like the 1:1 cars? Just curious. Those look awesome, Dave! I'm going to have to eat Ramen noodles for a couple of Months, to balance my budget with these coming so close to the the Monza and the '57 Chevy! Is the blue release only in digital, or is there an analog version too? If it is digital, how do they race against analog cars? Do they have the same motor and gearing? Do they have a switch to run analog? Until these, I have resisted buying a digital car, as I hate the idea of paying extra, only to throw out the electronics. 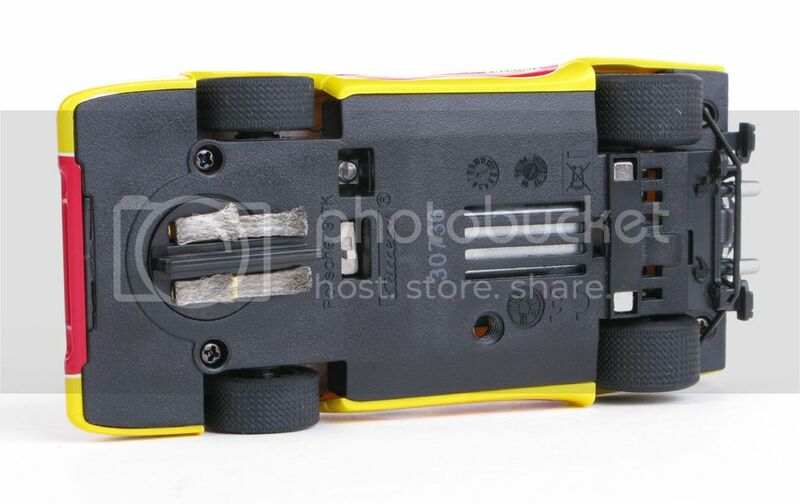 As you can see both are available in Digital and the yellow car is in analog. Analog cars don't have lights, digital cars do. This car only has front lights and no rears. All digital cars have a switch to do the digital-to-analog-and-back-again change. You could of course always sell the digital guts and then you'd end up with a profit on the car if you chose to do that. 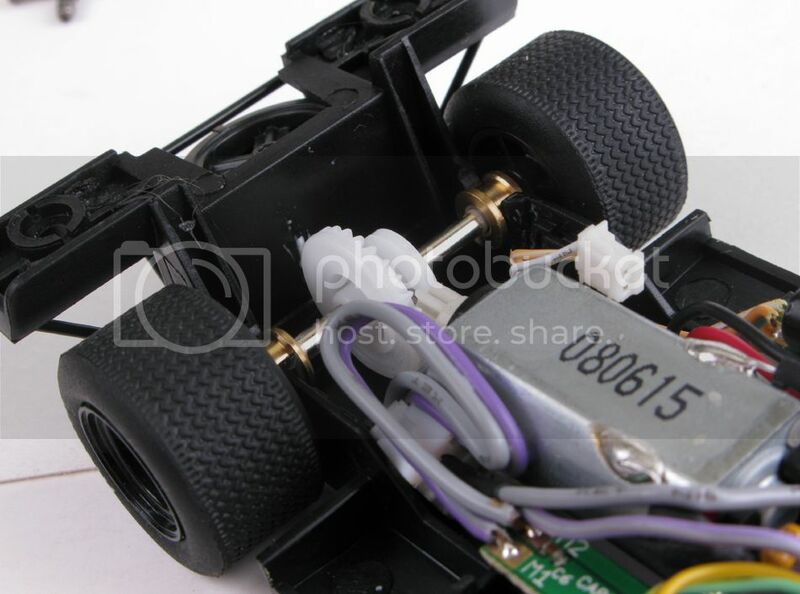 But don't the digi cars rely on the chip for the lights? The digital chip and the light circuit boards both have light parts on them. IOW, yes, you need some kind of chip to power the lights without rewiring it yourself. If you get a digital car, just put it in analog mode. No biggie. 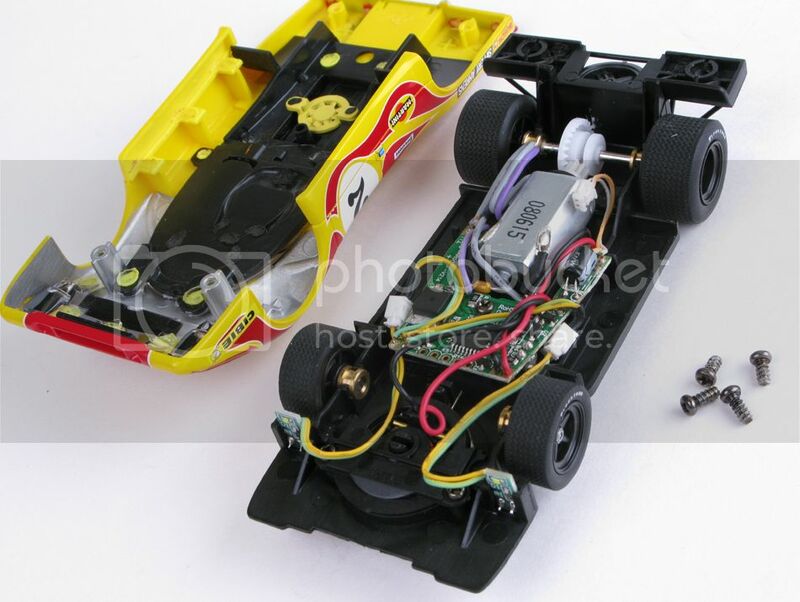 If you really want to remove the chip 'cus you don't like how the car drives/brakes with the digital chip, you'll want to dig up an analog chip that fits the car to have lights and a polarity switch.